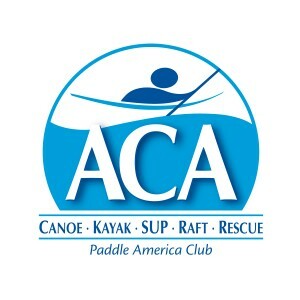 The 2018 ACA Adaptive Paddling Summit will bring together interested parties from around the world to learn from each other in a collaborative environment, refine best practices, network together, share ideas, and have fun. The 2018 Summit will be held on November 2-4 at Weeki Wachee Springs State Park, Florida and will include classroom and on-water seminars and workshops led by adaptive paddling industry leaders. $150 Summit registration includes 2.5-days of classroom and on-water educational sessions (all SUP and Kayak equipment provided), 1 barbeque dinner with 2 beer tickets, as well as appetizers and beverages during the Exhibitor Hall social hour on Friday night. Only 100 tickets are available for sale. Ticket holders must present ID and be over 21 years old to receive beer tickets for Saturday night. SUP and Kayak equipment will be provided for all AP Summit on-water sessions. On-site river tours can be pre-arranged with Boating In Florida. If ordering more than one Summit registration ticket at a time, you must enter a different name on each ticket. Available through this same ticket portal, you can register and pay a separate enrollment fee ($330) for either of two ACA Adaptive Paddling Workshops (APWs) which will also be held at Weeki Wachee State Park pre-Summit, October 31 – November 2 as well as post-Summit November 5-7. Huge thanks go out to Guest Services Inc. and Boating In Florida for making these APW possible for a reduced cost by donating facilities. All equipment necessary for the APW will be provided. Lodging and meals are not included. Only 10 tickets are available for each of the two APW. More information about this ACA Instructor Credentialing can be found on the ACA website. Do you want to display a product in the AP Summit Exhibit Hall? The first 8 organizations to purchase 3 or more Summit tickets will be invited to display products within the Exhibitor Hall free of additional charge. An Exhibitor Hall check-box will appear during the Summit ticket sale process. The Summit Registration Packet includes the schedule, travel and lodging suggestions, descriptions of the presentations, and biographies for each presenter. Huge thanks go out to our title sponsor, Craig H. Neilsen Foundation, as well as our site hosts, Boating In Florida and Guest Services, Inc.